More so than any other year in the past, this summer has been packed to the gils. Between visiting family, work and making sure our house doesn’t fall apart it has been hard to find time for adventure. Add to those restrictions the many fires currently ablaze across the Pacific Northwest and the prospects for any sort of backpacking trips were looking dire. That was until I began to think of overnight trips in a new light. 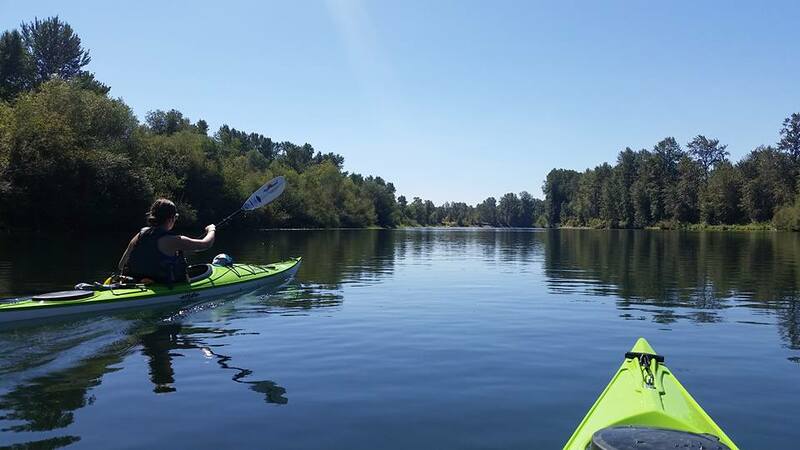 This spring my wife, Larkin, and I purchased two recreational Eddyline kayaks and we have been able to get some good day floats in on the beautiful waters around our state. Looking over maps of the Willamette River after one such trip, a plan began to form. Neither my wife nor I had ever been on an overnight float trip so we planned a gradual entry into this new realm. 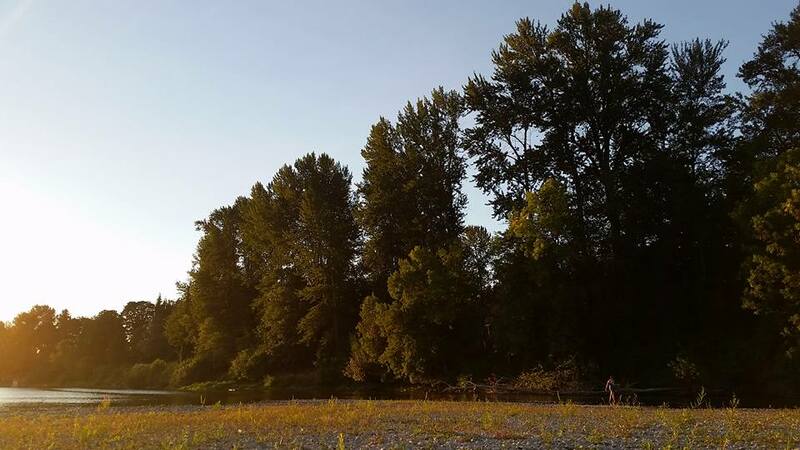 We plotted a course starting at the I-5 overpass on the Santiam, just west of Jefferson and finishing at Riverfront Park in Salem. This section of river(s) would prove to be a good mix of wild scenery and helpful resources provided by the towns along the river. To further facilitate our first trip we decided to pack only snacks, no stoves or meals, instead we planned to dine at Chateau Rogue south of Independence and break our fast at the Three Legged Dog in Independence on day two. On Saturday afternoon we packed the boats and pushed off into the clear blue water of the Santiam. The next 6.5 miles were among the prettiest of our entire trip. They included small rapids, a winding course and a beautiful bridge home to a family of Osprey. 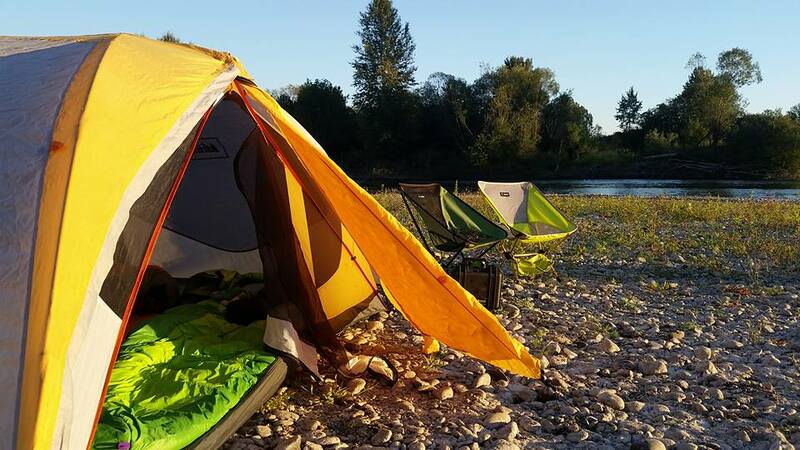 Joining the flow of the Willamette downstream brought a change in scenery, high banks and a wide expanse of water provided a great opportunity to raft up and pull out our provisions. Not many rivers are so well designed as to include a paddle up brewery on their banks. Lucky for us, we live in Oregon and such things are not only possible, they’re nearby! We beached our boats at Chateau Rogue and enjoyed our dinner and some yard games with the aroma of hops floating through the air. Camp for the night was found just 20 minutes downstream on a small gravel bar adjacent to Judson Rocks. 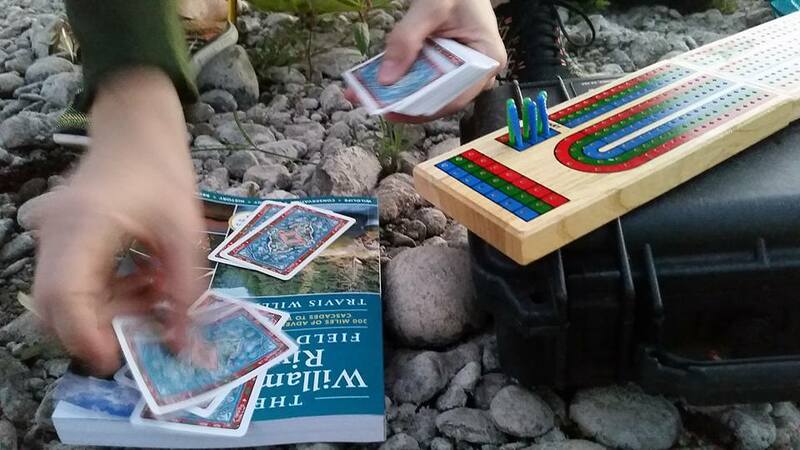 We situated our tent with a view of the sunset, cast a few hopeful lures into the golden waters and then settled in for a twilight game of cribbage. Larkin tried a few more casts the next morning without luck and we pushed off for a few quick miles before breakfast in Independence. The second eating establishment on our trip, the Three Legged Dog proved to be a great choice with excellent food and the great company of friends who drove down from Salem. We left feeling full and ready for a day of paddling. Not long after we pushed off we found a still pool where the river widened and deepened, home to possibly the hungriest fish in Oregon. Casts and strikes happened almost simultaneously and we floated on proud of our accomplishments. The last few miles of our float were marked by more riverside developments and motorboats crisscrossing the water. We began to recognize familiar features like Minto-Brown Island Park and Rock-n-Rogers Eola Inn. 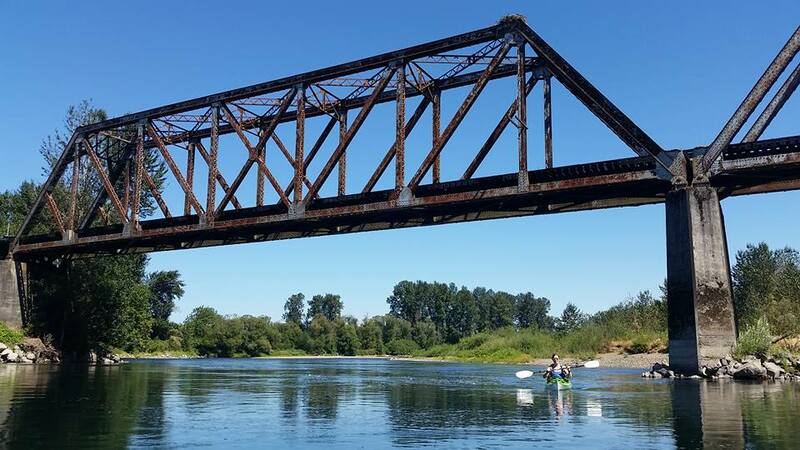 Soon enough we spied the bridges of Salem and we paddled easily in to dock aside the Willamette Queen. All told we covered over 30 miles of river full of birds and fish and good times, and we gained a new perspective of the valley we call home.